Is Microsoft holding back netbook innovation? Most people associate innovation with technology, so it is especially disappointing when a technology company becomes the barrier to innovation. In an attempt to protect the sales revenue of the Windows operating system, Microsoft is stifling the market potential of netbooks. Jared Newman at CIO.com wrote a piece titled “Five Netbooks Microsoft has Crushed” and outlines some of the netbooks that are being discontinued because they are too good to qualify for the discounted Windows netbook price. If these devices are forced into notebook classification, they will no longer be able to compete on price against either netbooks or laptops. The major appeal of a netbook is the size and price. I do not begrudge Microsoft for making a profit or maximizing it revenue opportunities, but the company was built on innovation. Frankly, it seems Microsoft is cracking down on that which made it great. In order for the OEM manufacturers to hit a competitive price-point, they have to curtail features in order to avoid higher operating system licensing costs. This practice does not encourage innovation, it smothers it. Gregg Keizer at Computerworld.com has a piece talking about Microsoft’s position on netbook pricing. Simply put, Microsoft wants to move consumers to its more expensive versions of their operating system. The below quote is from Steve Ballmer, CEO of Microsoft, and was taken from a recent analyst meeting. Microsoft is missing the point on netbooks. Netbooks are not desktop or notebook computers; they are niche devices that are growing in popularity. I do not believe that netbooks are reducing the full priced operating system sales. The reduction in OS sales has a lot more to do with the economy and the marketing problems of Vista. 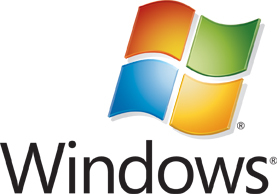 Consumers know Windows 7 is right around the corner, so why buy Vista? Netbooks are a new market with new potential customers. Multi-computer owners own at least one desktop or laptop. As a group, their computers tend to stay relatively modern, and they purchase upgrades when needed. Netbooks appeal to this group because they do not want to lug the larger laptop when going to the coffee shop to get some work, or recreational surfing, done. Additionally, a desktop computer does not move around the home much so it limits its utility. The small size and aggressive price of a netbook are highly attractive to this group. It is my understanding that the multi-computer purchasers are the predominate consumer of netbooks. I have yet to meet a first time computer owner who purchased a netbook. I have also never spoken to a netbook owner who replaced their only full featured computer with a netbook. However, I have met a couple of dozen netbook owners, and the netbooks were always the second or third computer. Microsoft should be looking at netbooks as an opportunity for additional incremental OS sales. By embracing netbooks and encouraging the OEMs to build the best possible devices for the $199-$399 price-point, Microsoft could reap larger OS sales and further solidify its market dominance. It is conceivable that Microsoft could be left in the dust if they allow other operating systems to move into the netbook space. Consumers will move to an alternative operating system from another big name, like Google, if it has innovative features and the right price-point. Google will encourage innovation and push the boundaries of what a netbook can do; Microsoft should lead this charge, not resist it. Could it be the consumer that actually wins the office productivity software war?